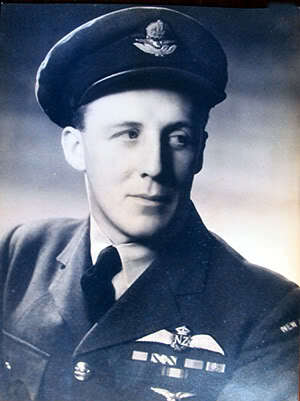 Topic: Wing Commander Tom Horton was a pilot in the Royal New Zealand Air Force during the Second World War. 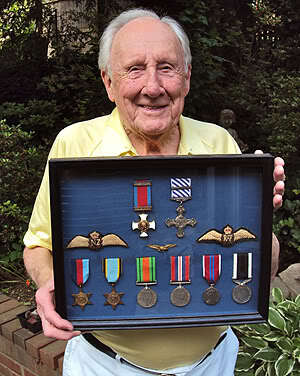 He was attached to the Royal Air Force in 1940, and served in Ireland patrolling the seaways in Fairey Battles, then was posted to England where he flew Bristol Blenheims and Douglas Bostons on daylight strikes against shipping and targets in France and the low countries. This was all with No. 88 Squadron. After a rest period he then went onto fly the famed de Havilland Mosquito with No. 105 Squadron Pathfinder Force, No. 8 Group, dropping red target markers and carrying out bombing attacks. As an RAAF navigator on 463 Lancaster Squadron I was most interested to hear the interview and it certainly brought back wondrous memories of our sojourn wuin RAF Bomber Command. Congratulation to Tom and Dave for their contribution to the memory of those Airmen who gave their lives during the 1939-1945 conflict. Thank you Donald, I really appreciate this feedback. Dave, we recently hosted Tom at the Embassy of New Zealand for ANZAC Day in Washington DC. Let me tell you his mind is as sharp as ever. What a privilege to spend time with an amazing guy. That’s fantastic to hear, Samantha! He is indeed an amazing man.